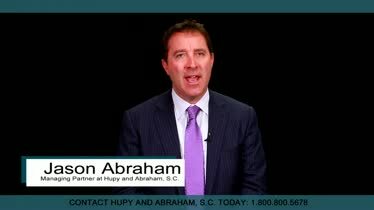 Wisconsin Truck Accident Attorneys | Hupy and Abraham, S.C.
Large truck crashes are common on Wisconsin roads. According to the Wisconsin Department of Transportation, on average more than 6,750 large truck accidents occur in our state each year, resulting in dozens of deaths and thousands of injuries. If you are one of the people who have been hurt or who have lost a loved one, then you need help now. You need to know how to pay medical bills, how to make up for lost income, and how to continue living with the physical pain and emotional suffering that you now experience every single day. 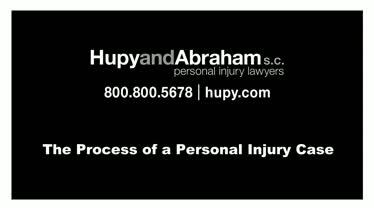 The Wisconsin truck accident injury lawyers at Hupy and Abraham are to provide you that help. For the past half century, we have been helping people who have been hurt in serious truck crashes get the fair recoveries that they deserve. We will answer all of your questions and we will put the full effort of our experienced team into getting you the recovery that you deserve. Our Wisconsin personal injury law offices are located in Milwaukee, Appleton, Green Bay, Madison, and Wausau, and we are ready to welcome you for a free, no-obligation consultation at the office of your choice. Someone else’s negligence has caused you to lose a lot of control over your own life. You couldn’t control what happened on the day of the truck crash, you can’t avoid the medical care that you need, and you have no choice but to miss work, school, family events, and the recreational activities that made up your daily life prior to the truck wreck. And you always have the right to work with an experienced lawyer who will explain the pros and cons of every option to you clearly so that you can make an informed decision about what you want to happen next. While you have several legal options available to you, the Wisconsin statute of limitations limits the amount of time that you have to pursue a legal claim after a truck crash. Accordingly, it is important to talk to an attorney and to think about how you want to proceed as soon as you are able to do so. In some cases punitive damages may also be available. We will look at things such as the extent of your injury, your income prior to the accident, and the strength of the evidence to help determine what a fair recovery will be for you. An experienced truck crash lawyer can investigate what happened and find out exactly what caused your specific accident. Crash involving a smaller box truck or delivery truck. 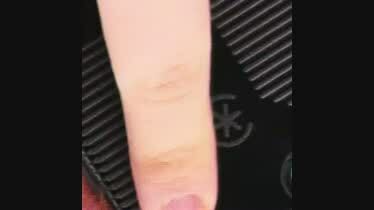 Crash involving a government truck. Even if you know what type of truck accident occurred, it is important to gather evidence to support your claim and your recovery. Unfortunately, death is also a potential outcome of a truck crash. If this has happened to your loved one then your loved one’s estate may have the right to pursue a wrongful death claim. How do I know if I should hire a truck accident lawyer? How long do I have to file a truck accident case in Wisconsin? What mistakes should I avoid after a truck crash? What should I do if I’ve been hurt in a truck wreck? Of course, you likely have additional questions, and our experienced truck crash lawyers are ready to answer them. You risk nothing by contacting an experienced truck accident attorney for an individual and confidential initial consultation. Not only is there no consultation free, but our firm accepts truck accident cases on a contingency fee basis. That means that you don’t pay us an hourly rate and we are only paid a percentage of your recovery. Truckers and trucking companies have attorneys representing them and fighting hard to minimize their liability. You deserve the same advantage. You deserve to have someone on your side who is knowledgeable about the law and unwavering in his commitment to getting you the fair recovery that you deserve. To learn more, and to schedule your free Wisconsin truck accident case evaluation, please contact us any time via this website or by phone at 1-800-800-5678. We look forward to meeting you at one of our Wisconsin offices soon, and we are ready to help you recover from the serious injury that you’ve suffered in a Wisconsin truck wreck.